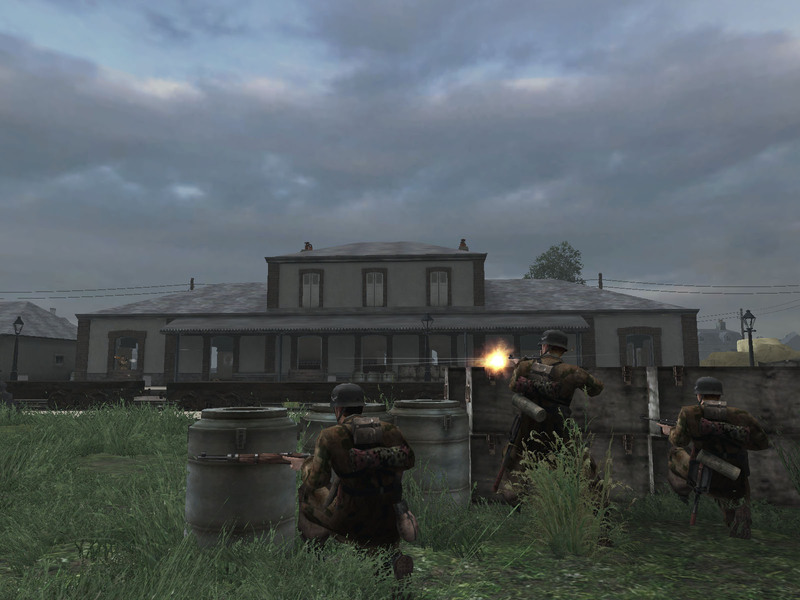 After the release of Brothers in Arms: Road to Hill 30, the team immediately set their focus on Brothers in Arms: Earned in Blood. 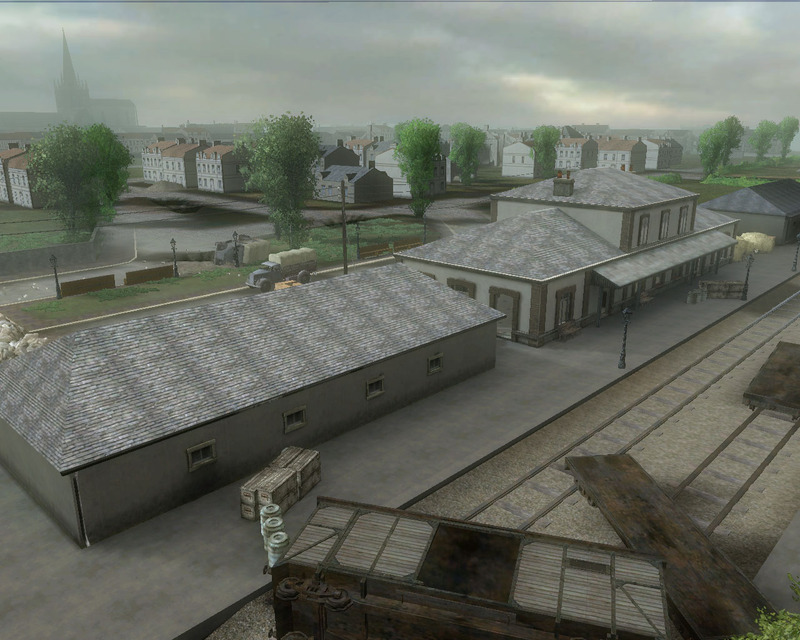 We were to use the Road to Hill 30 engine and majority of assets and make a rather quick expansion pack. 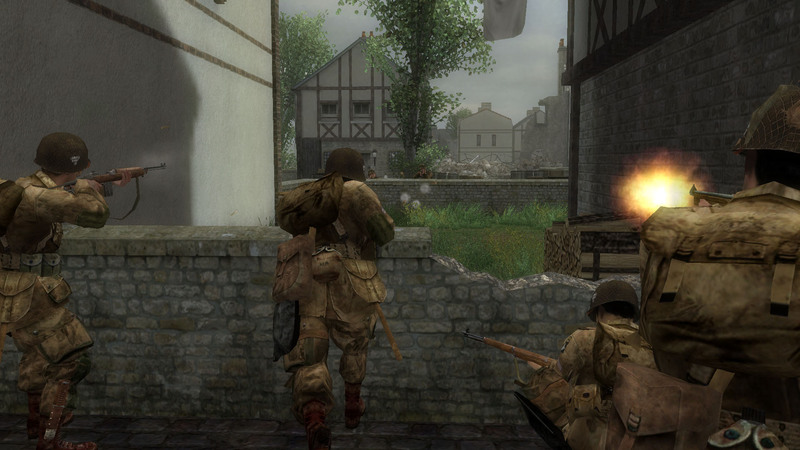 However, as we continued to work on Earned in Blood, the game became more and more a fully fledged game and not an expansion pack. 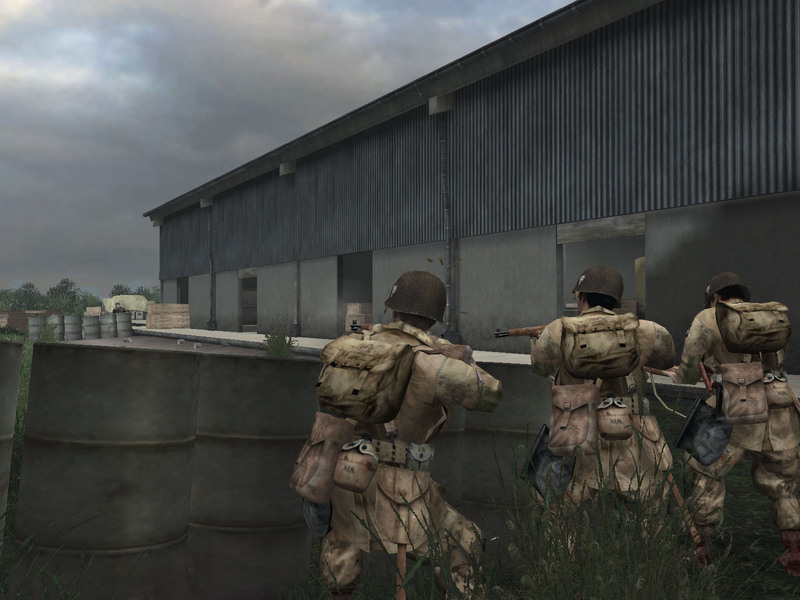 We vastly improved on many aspects of Road to Hill 30 including combat, visuals, and cinematics. 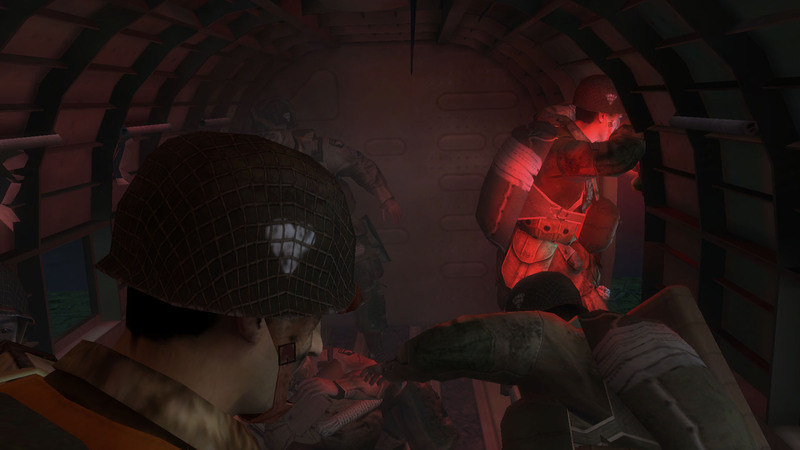 For Earned in Blood, I mainly worked on all the major cinematics, but there were times I was called upon to help create, fix, or polish up combats. 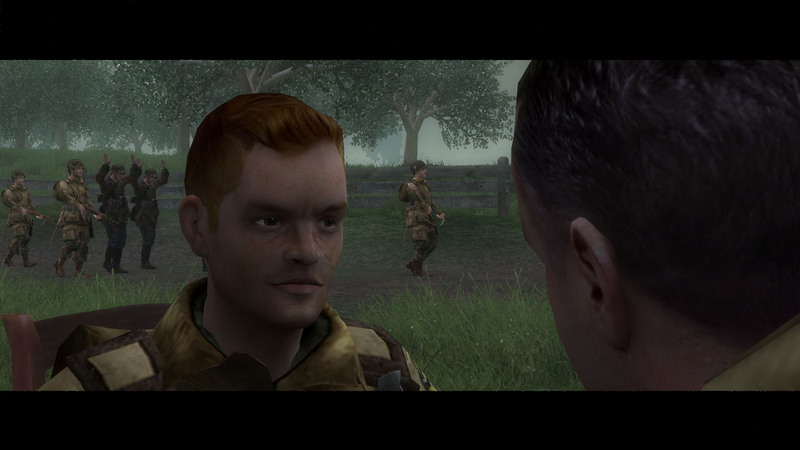 In Earned in Blood, the entire game is told through Hartsock's flashbacks as he is debriefed by official Army historian S.L.A. Marshall. These debriefings are captured in the four Bookend Chapters. 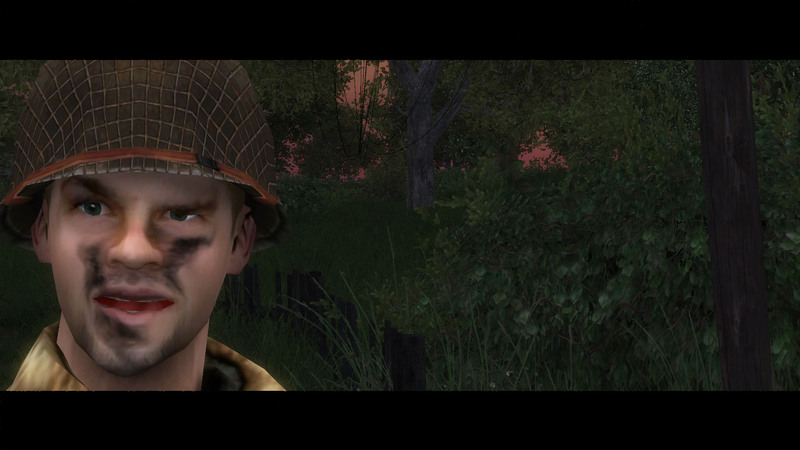 After a German mortar attack disrupts his promotion ceremony, newly promoted Sgt. 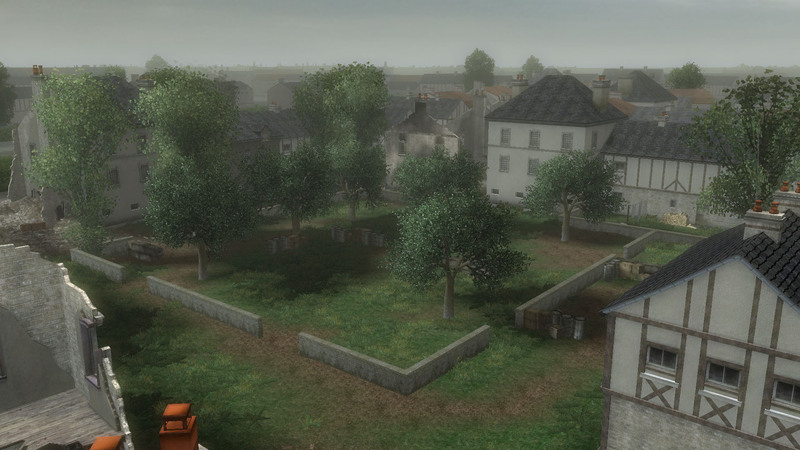 Hartsock leads his squad way through Carentan back alleys and train stations in search of the German resistance. With the train stations clear, Sgt. 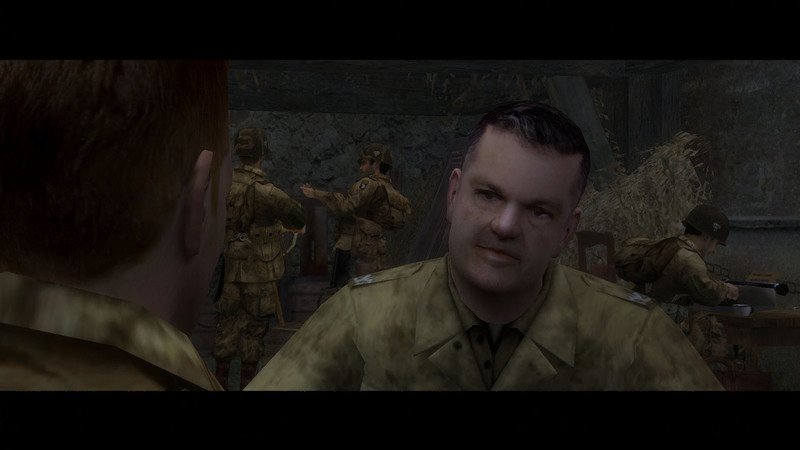 Baker and Sgt. 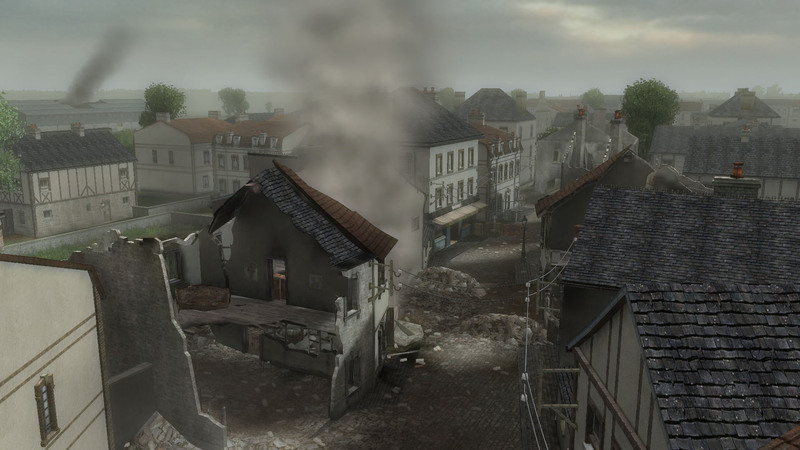 Hartsock split forces to flush out the remaining German resistance to secure Carentan. 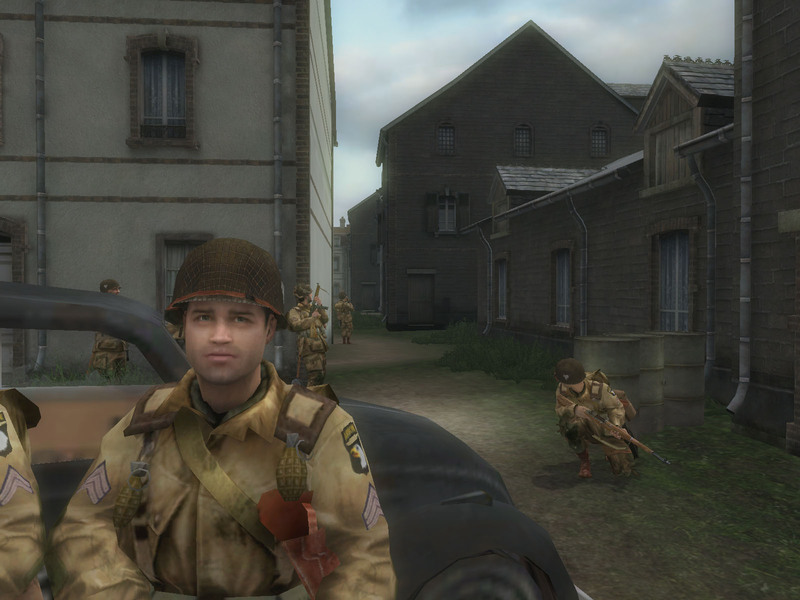 While fighting down the cluttered streets and alleys, Sgt. 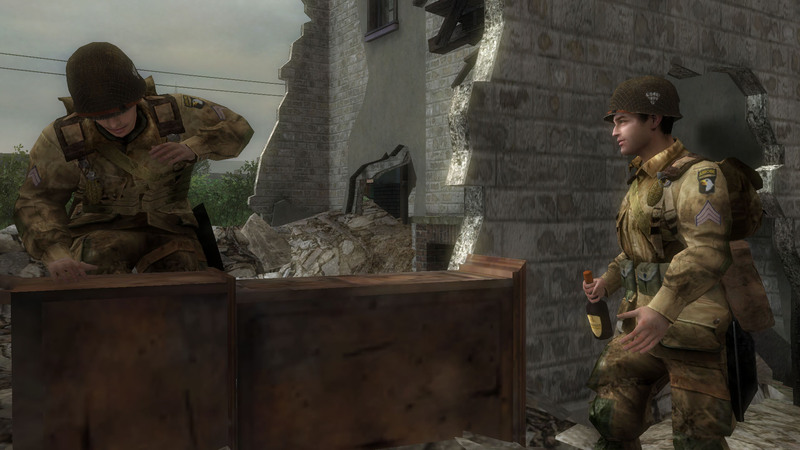 Hartsock realizes taking back Carentan might not be as easy as he thought.